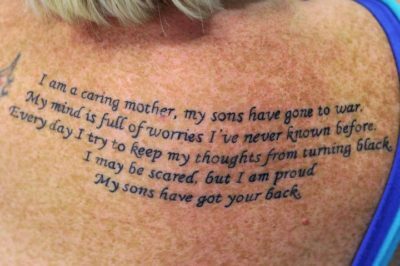 fuckyeahwordtattoos: Sharon Swates shows a memorial tattoo to her sons on active service during the Ink For Heroes event on June 18, 2011 in Catterick, England. 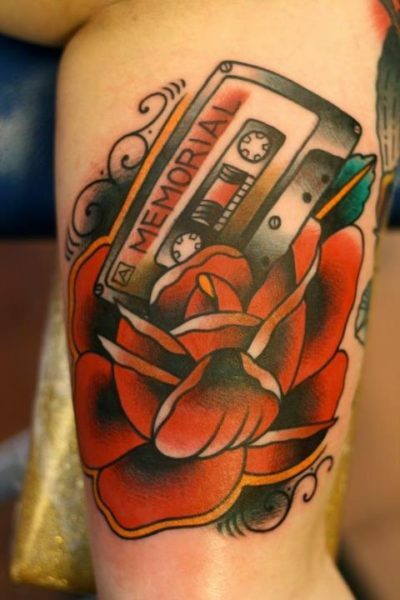 Ink For Heroes is a charity event to raise money and awareness of the soldiers that are injured during service, with all proceeds going to both ‘Help The Heroes’ and ‘The British Legion’. Injured soldiers can also get tattooed for free during the event. 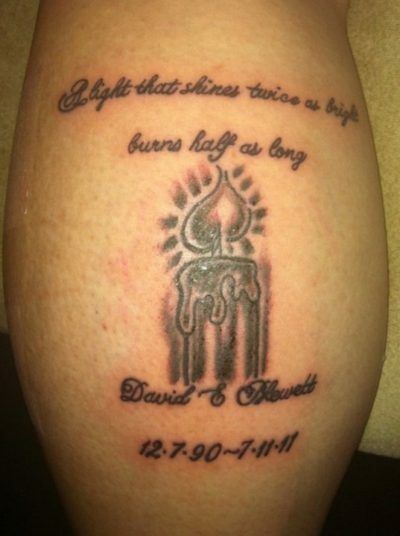 “A light that shines twice as bright burns half as long.” A memorial tat for my nephew.